To burn or not to burn, that is the question… being debated in Washington, as the Senate Agriculture Committee previewed the 2018 Farm Bill. According to three logging associations “the legacy of hands-off forest management and the “let-it-burn” philosophy is that California is losing its forests”. Notwithstanding the above debate, news that California’s wildfire season will be even more severe than last year because of an “overabundance of fuel, combined with fires that are burning hotter and faster”, has created a potentially catastrophic scenario. The BC Court of Appeal has upheld a decision to dismiss a guide outfitter and trapper’s lawsuit against the provincial government and forest companies. Harry Chingee launched the lawsuit seeking damages for the clearcut logging on his tenures which “substantially reduced the amount of wildlife on the land”. Wadood Hamad, a research leader at FPInnovations, demystifies cellulose nanocrystals (CNC) and related applications in a new book. After 15 years of study, the author believes that “CNCs are finally showing great promise in a multitude of applications”. With the 5th softwood lumber dispute dragging on as the second wave of anti-dumping duties were recently announced, Canadian forestry companies and their workers are feeling the impact. The acknowledgement by the Canadian government of their challenges is significant to the sector that supports our economy, 230,000 middle class livelihoods across the nation, and 38,000 on the coast of British Columbia. 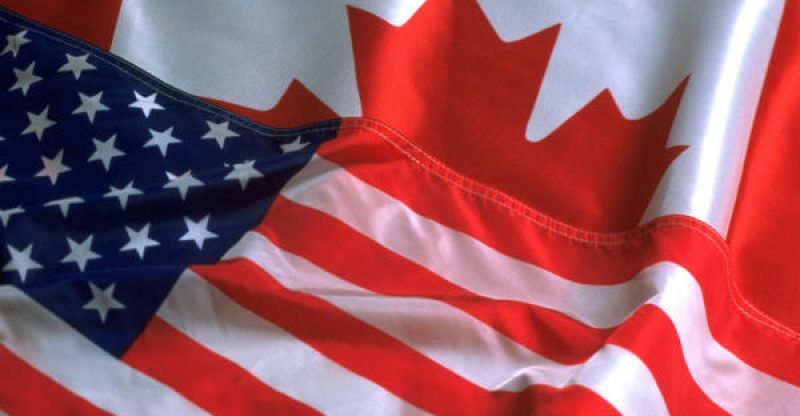 Natural Resources Canada’s (NRCan) commitment in early June to fund $867 million in initiatives to support the forest sector during these times was welcome news. The commitment included efforts to expand overseas markets and promotion of Canadian wood products. This June’s mission to China to take part in the eighth Clean Energy Ministerial and Mission Innovation Ministerial meetings supported the key message of commitment to support overseas efforts. The Municipality of North Cowichan has issued an immediate boil water advisory for Crofton after a leak was detected in the supply line that brings water from the Cowichan River to the Crofton Mill. …“The supply main that failed supplies the Catalyst Water Treatment Facility which in turn the Municipality of North Cowichan purchases the water off of Catalyst to supply our system for the town,” assistant manager of operations Rob Bell told the Chronicle. “When they lose their supply we use our supply.” The treatment facility is the main water source for the community and a similar leak last year also forced a boil water advisory on the approximately 1,100 residents for six days. “The location of the leak has been detected and North Cowichan staff are working with the Crofton Mill to repair the leak as quickly as possible,” according to a media release. The owners of Kelowna’s downtown sawmill have won a one-third reduction in their property assessment. The 15 hectares of land and buildings owned by Tolko Industries have been reassessed at $21 million, down from a previous valuation of $29 million in 2016. A new valuation was set by the Property Assessment Appeal Board, based on a joint submission from Tolko and the BC Assessment Authority. Because it was a joint submission, the reasons for the lowered assessment are not publicly available. However, representatives for Tolko had argued previously at the appeal board that the assessment for the downtown sawmill site was too high, relative to other lands in Kelowna with a heavy industrial zoning classification. The B.C. Court of Appeal has upheld a lower court decision to dismiss a guide outfitter and trapper’s lawsuit against the provincial government and a long list of sawmill operators and logging companies. Harry Chingee first launched the lawsuit in June 2013, seeking damages for the clearcut logging on his tenures – 169,000 hectares surrounding McLeod Lake and northeast of McLeod Lake. In April 2016, a B.C. Supreme Court Justice dismissed Chingee’s claims finding they had no reasonable chance of success. …. In Chingee’s appeal, he argued the issue was not so much that logging occurred but that clearcut logging was used and substantially reduced the amount of widlife on the land by also removing non-merchantable timber. Maine’s governor didn’t raise New Brunswick’s softwood lumber concerns with President Donald Trump this week after all, a spokesperson said. 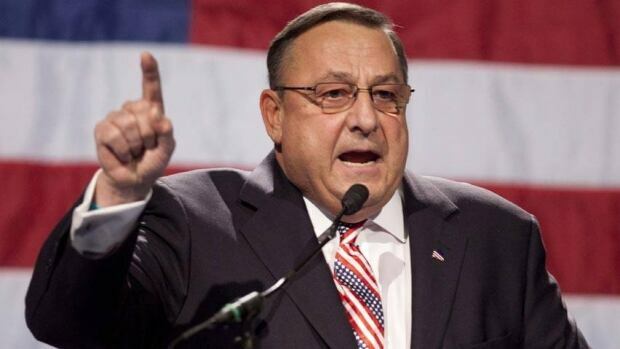 Paul LePage met with Trump at the White House on Wednesday and, according to the Gallant government, was supposed to make the case for exempting New Brunswick from new tariffs on softwood lumber exports. …New Brunswick is fighting to regain its longtime exemption from U.S. softwood duties. …According to the U.S. Commerce Department, the volume of wood coming from government-owned Crown land in New Brunswick has reached a level where it must be considered subsidized. Private woodlot owners in western Nova Scotia are likely feeling the pinch from high trucking costs, the loss of a major paper mill five years ago and a dwindling market for pulpwood, says the deputy minister of natural resources. Julie Towers was responding Thursday to concerns raised by some woodlot owners that they are being pushed out of the business because a large consortium of companies is flooding the market with wood logged on western Crown land. Towers said, however, that Nova Scotia forests are being harvested at a level far lower than they could be. Last year, about 3.6 million cubic metres of forest were cut down, out of the seven million the province deemed was available. “After doing all the assessments for protecting water, wildlife habitat, etc., that’s the assessment of what could come off, in terms of trees, and we’re cutting about half of that,” Towers told CBC’s Information Morning. 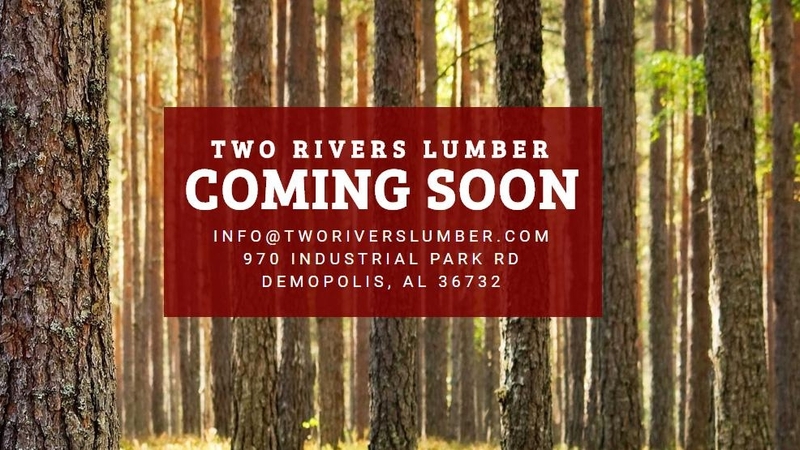 The new Two Rivers Lumber sawmill, which broke groud in January, is set to be up and running in Demopolis, Alabama by September 1, 2017. But with over 95% of the machinery installation done, the BID Group is ahead of the projected timeline and is looking to have the mill in full production sooner, as the company says in the press release received by Lesprom Network. The Demopolis sawmill will feature state-of-the-art technologies specifically designed, supplied, and installed by the BID Group, including a Comact optimized log bucking system, a Comact saw line with profiling systems, and a fully-automated mill outfeed. The planer mill will be equipped with the new, and now proven, Miller high speed planer, and the latest Comact GradExpertTM 2.0. Lumber drying will utilize continuous kiln technology provided by two Deltech dual-path kilns. Russian exports of softwood and birch logs in the first quarter fell slightly short of the figures for last year. According to information from the Russian customs authorities, softwood log exports fell by 12% in the first three months to 2.743m m³. This perpetuated until the end of March the trend that had already been observed in the fourth quarter of 2016. At that time, the exports had fallen 11% below those of the same quarter of the year before. The exports had risen in each of the preceding quarters. The exports of birch logs decreased 7% in the first three months of this year to 1.500m m³. …Chrystia Freeland, Canadian global affairs minister, and Wilbur Ross, the U.S. commerce secretary, have been in good communication lately but admitted to remaining serious hurdles to a deal- not the least of which is the approval of their respective lumber industries – there is an appetite to resolve the issue ahead of North American Free Trade Agreement negotiations later this year. …Gary Hufbauer, a trade expert at the Peterson Institute for International Economics, told Reuters the administration is probably willing to compromise some industry-specific concerns to help reach its larger NAFTA goal of reducing trade deficits. “It should be the USTR but I think Ross is much closer to the president on a personal and business level,” said Lawrence Herman, a trade lawyer at Herman and Associates. …To address the urgent housing shortage issue, the Heiltsuk Tribal Council has partnered with FPInnovations, the School of Architecture and Landscape Architecture and the Faculty of Forestry at the University of British Columbia (UBC) as well as with Mitacs, and together they have engaged with the community and have highlighted a potentially suitable housing option: ‘tiny homes’ (<500sq feet). Although the concept has been around since the 1970s, the inherent design of these homes has rarely been developed with, for, and by indigenous communities. This pilot project is developing long-term, culturally-focused ‘tiny homes’ to provide an independent living style to individuals, couples, and even young families within the Heiltsuk community. SAN FRANCISCO, Calif. – Smith & Fong Co., makers of Plyboo bamboo architectural panels and flooring products, announced the launch of Fractal and Fractool, a new concept in customizable architectural panels that utilizes the isosceles triangle. “Fractal panels, when combined with the Fractool, comprise one of the most revolutionary new product concepts we have introduced,” Smith & Fong president Angus Stocks said. “The client now has full control over the design of a wall installation and all of this can be done online, on the client’s time.” The Fractool is a proprietary online design tool that is on the Plyboo website. It produces a photographic image of a wall of Fractal panels, custom configured by the user, along with a blueprint of how to assemble and install it, and a price that includes delivery. DOTHAN, Ala. – On June 20, we reported that Florida-based International Beams, a manufacturer of high quality, pre-fabricated i-joist beams, was converting a General Electric 227,000-square-foot into a highly specialized manufacturing facility. But we didn’t yet know what they were going to make. Now we do. International Beams says the plant will be the biggest cross-laminated timber manufacturing facility in the U.S. when it opens in early 2018. The $19.6 million expansion will create 60 jobs at the plant right away, and create other jobs in local timber, sawmill, and trucking. Two hundred jobs will be created altogether. International Beams says the CLT panels produced in Dothan will be sold mainly in the U.S. market. The company will use southern pine lumber to construct the panels. OTTAWA – Our government has committed to reviewing and modernizing environmental assessment and regulatory processes. Our goal is to protect the environment and introduce modern safeguards, support reconciliation with Indigenous peoples and ensure good projects go ahead and resources get to market sustainably. Consultation is at the core of these reviews and a way forward in rebuilding public trust. Today, the Government released a discussion paper — one important step in this effort. Drawn from extensive public consultations, Expert Panel reports and Parliamentary studies conducted over the past 12 months, this paper outlines potential reforms being considered to rebuild trust and modernize Canada’s environmental and regulatory processes. This includes a review of the Canadian Environmental Assessment Act, 2012, the National Energy Board Act, the Fisheries Act, and the Navigation Protection Act. Like many water sources across BC, the Glade Creek Community Watershed is under threat from proposed logging. The Ministry of Forests, Lands and Natural Resources (FLNRO) neatly sliced the Glade Community Watershed in half, and granted tenure to two licensees. On this public land, ATCO Wood Products gets the top half and Kalesnikoff Lumber Company gets the bottom half. After investigation, the Glade community became concerned for our water quality. Could anyone help us to protect our water? We began asking. …The lack of public confidence in water protection in BC is well earned. Ask the folks in Ymir, where their tiny watershed is slated to be logged. …Ask the folks in Slocan Valley, who have been fighting for decades to protect their water sources. A court action is still pending more than a year after members of Elphinstone Logging Focus (ELF) established a camp on Mount Elphinstone in an effort to stop BC Timber Sales (BCTS) from auctioning the cutblock known as A87125. The protests escalated and the company that won the right to log the area, Peninsula Logging, filed a notice of civil claim in August 2016 and an application for an injunction against demonstrators interfering with the logging, which has now been completed. Several people were arrested for defying that court order. The injunction expired Dec. 31, but notice of claim remains active. In a press release issued late last week, and in court documents, ELF argues that continuing with the claim amounts to a so-called SLAPP (Strategic Lawsuit Against Public Participation). 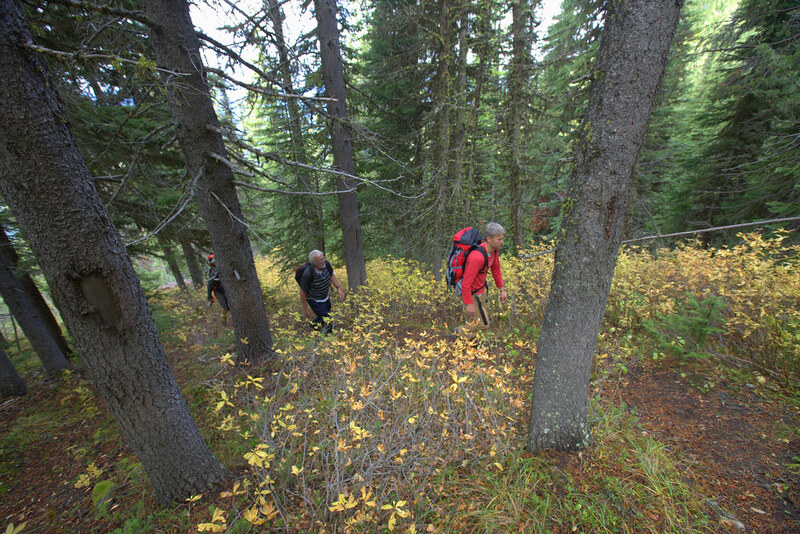 Effective immediately, the new allowable annual cut for the Invermere Timber Supply Area is 496,720 cubic metres, chief forester Diane Nicholls announced today. After five years, the cut level will decrease to 424,800 cubic metres. The mountain pine beetle epidemic and the salvage logging of dead pine are ending in the Invermere Timber Supply Area. This new, two-tier cut level, which is about 17% less than the 598,570 cubic metres set in 2005, reflects a transition to lower mid-term harvest levels. The reduced cut level also reflects the creation of additional wildlife habitat areas, which has reduced the area available for timber harvesting by about 16%. By Bill Acord, president, Loggers Association of Northern California, Jim Henson, president, Sierra Cascade Logging Conference. and Hardie Tatum, president, Associated California Loggers. One doesn’t need to write 38 books about wildfire to understand that fuel loads influence the size and severity of forest fires. Decades of scientific research and practical on-the-ground experience strongly indicate that reducing fuel loads on the forests helps prevent catastrophic wildfires. Yet a recent guest columnist, and self-described author and expert, denied in this newspaper the relationship between fuel loads and fire intensity, presumably to defend his extreme “let-it-burn” ideology. …The legacy of “hands-off” forest management and the “let-it-burn” philosophy is that California is losing its forests. Since the mid-1980s, the Forest Service’s California Region has accumulated a 3.46 million-acre backlog of identified reforestation needs, or forest lands burned in wildfires and never restored. What were once abundant green forests are now brushfields. The Ochoco National Forest has released a plan for a 137-mile trail system specifically for off-highway vehicles. Forest officials expressed the hope that more designated areas for OHV riders will reduce the illegal cross-country riding that happens now. “We can start leaning in on law enforcement and public education, and start sorting out legitimate use from unauthorized access,” said Stacey Forson, a forest supervisor. “It’s been challenging to do that without having a suitable system of routes for recreation users.” But environmental groups aren’t convinced. 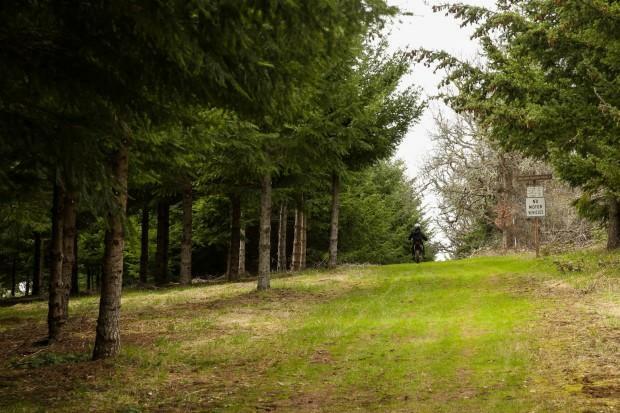 “By designating the OHV trail system, I actually think the Forest Service will increase illegal use across the forest,” said Sarah Cuddy with Oregon Wild. News that the U.S. Forest Service is proposing a way to limit the number of people entering Oregon’s wilderness areas didn’t come as a major surprise. As the number of people hiking and camping in Oregon’s outdoors has skyrocketed, wilderness areas, often in fragile alpine environments, have been particularly hard-hit. What did surprise many was the scope of a plan announced this month by Willamette and Deschutes national forests. They propose a system that would require a permit to hike or backpack in the Mount Jefferson, Mount Washington, Three Sisters, Diamond Peak and Waldo Lake wilderness areas. 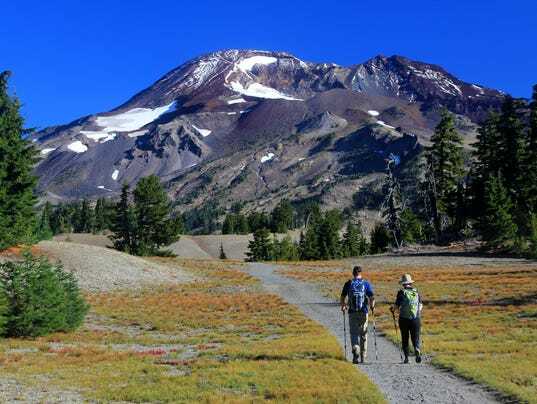 Sweeping plan would limit entry to Mount Jefferson, Three Sisters, other Oregon wilderness areas. The goal is to limit crowds and damage by restricting numbers, officials said. LITTLE ROCK – That ancient oak standing amongst a crowded forest canopy may look like the perfect magnet for deer, but that tree may not be the best use of space for wildlife in the long run. Selectively removing some damaged, old and less productive trees is part of healthy forest management and necessary to begin the next generation of forest for our children to enjoy. Martin Blaney is the statewide habitat program coordinator for the AGFC. He’s heard from many concerned hunters and even state representatives about logging operations to improve wildlife habitat on wildlife management areas during his 31 years with the Commission. He explains that money is not the motivation behind any timber harvest on WMAs. It’s about offering a variety of species and ages throughout the forest to benefit the wildlife now and in the future. The storied New Jersey Pine Barrens sprawl across seven counties and more than a million acres — an undulant expanse of verdant forest that remains one of the state’s great treasures. But along numerous sections of the Pine Barrens’ waterways, “ghost forests” are taking hold. Stands of Atlantic white-cedar are dying off, giving way to saltwater marshes and leaving thousands of acres of dead trees in their wake. It’s a natural phenomenon that has happened in the past, but traditionally the dead patches recover over time. Now, however, scientists believe that sea level rise, caused by climate change driven by human activity, has worsened the situation beyond repair. The ghost forests of dead trees that currently line rivers and creeks throughout the Pine Barrens are never coming back. WARSAW, Poland – Poland’s environment minister said Friday that he will use an upcoming UNESCO conference to defend his position on allowing logging in a pristine forest. Jan Szyszko is under heavy criticism from environmental groups and from European Union authorities who say that Bialowieza Forest, in eastern Poland, is threatened by a triple increase in logging that the minister permitted there. The EU is threatening sanctions. …Szyszko argues that the increased logging is only carried out in younger sections traditionally used for timber production and that it fights bark beetle infestations in line with EU laws. 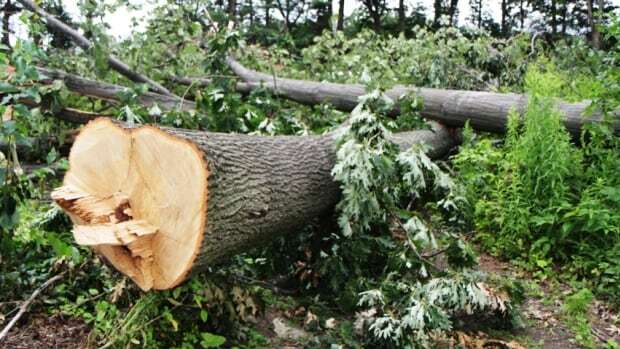 “Poland is currently defending EU law, recreating destroyed habitats, but across the world it has been described as the felling of trees,” Szyszko said on the Polish Radio station on Friday . Washington, DC – The U.S. Forest Service has been unable to identify the safeguards it claims to have recently adopted to prevent wide-scale commercial timber theft and fraud, according to a lawsuit filed today by Public Employees for Environmental Responsibility (PEER). The Forest Service’s own internal reviews point to systemic failures leading to multi-million dollar losses for taxpayers on the latest major timber sales it conducted on the Tongass National Forest in Alaska. One 2016 “Washington Office Activity Review” uncovered by PEER found that two large Tongass commercial timber sales each racked up big monetary losses. In addition, required inspections to prevent timber theft were bypassed. The review called for “an independent review” to “prevent similar issues in future timber and stewardship contracts” but that recommendation appears to have been sidelined. 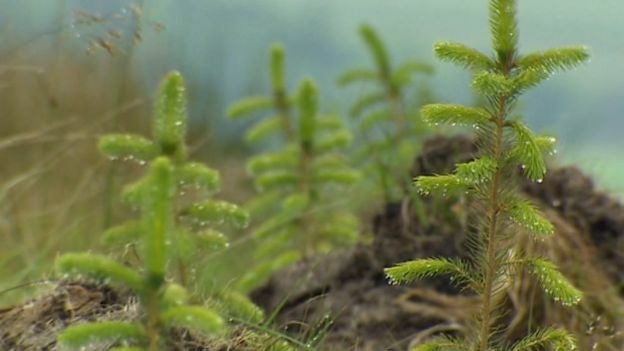 Not enough trees are being planted in Wales and the Welsh Government needs to do more to meet targets, woodland organisations have said. The Wales Climate Change Strategy, published in 2010, contains an aspiration to create 2,000 hectares of new woodland every year between 2010 and 2030. It is seen as a way to help Wales meet its carbon emission reduction targets. Ministers said they were committed to increasing new trees in Wales. The Woodland Trust said Wales had not met its tree planting objectives and had failed to address the need for them in the landscape to deliver key environmental, public and economic gains. 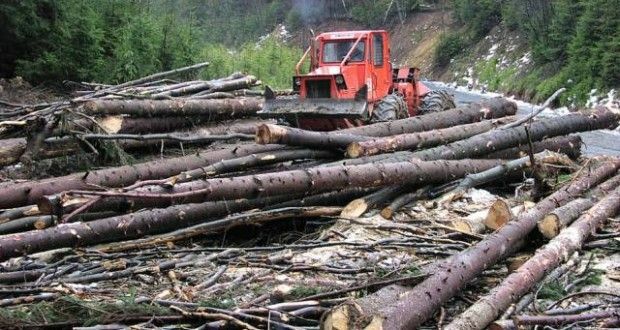 Almost 100 hectares of forests in Romania’s Cindrel Mountains have been illegally logged, Greenpeace Romania said, quoted by Agerpres. Meanwhile, the Sibiu Forests Department and the Brasov Forestry Guard are ignoring these violations of the Forests Code, the organization added. The more than eight illegal loggings took place in the Sadului Valley, in central Romania’s Sibiu county. The organization says it notified the Sibiu Forests Department and the Brasov Forestry Guard but the institutions have answered in an unsatisfactory way. Because of this, Greenpeace is asking the Waters and Woods Ministry to intervene and investigate the situation. A quiet forest fire season continued with the province reporting no new fires on Thursday afternoon. A media release from Aviation, Forest Fire and Emergency Services said the forest fire hazard in the Northwest Region is predominantly low with an area of moderate to high hazard in the Nipigon and Sioux Lookout districts. On Wednesday, Nipigon Fire Number 7 was declared out after spreading over 5.5 hectares — less than 14 acres. It was the region’s lone fire at the time. Despite this week’s lack of activity and cool wet weather, fire officials are still encouraging caution — especially as the end of school sees more families venturing out into the wilderness for hiking, camping and fishing. On Tuesday, June 27, the Goodwin Fire created a plume of smoke so dense and dark it blotted out the skies over Payson and turned the sun an unearthly orange. Citizens still jittery from the recent Highline Fire flooded the lines to town and county officials, prompting an emergency response message to reassure everyone the fire posed no threat to Rim Country. Since it started on Saturday, June 24, the fire near Prescott has blown up to char 20,644 acres. As of Wednesday, June 28, it was only 1 percent contained. The cause of the fire is still under investigation. Fire officials say weeks of hot, dry, windy weather have sucked all the moisture out of the vegetation. The desperately low humidity continues to create perfect conditions for a fire. Now strong winds whip the fire into a frenzy running it up hills, throwing embers to create short-range spotting and the dreaded word — crowning, where the fire jumps from the top of trees to the next tree. DEWEY — Gov. Doug Ducey arrived at the edge of the Goodwin Fire Thursday afternoon to inspect an area that may have averted the worst, but offers a sobering reminder of the fragile existence in the parched southwest. Smoke filled the sky as Ducey approached Prescott Municipal Airport in the state plane. Before landing, the pilot flew over the southwest flank of the nearly 25,000-acre fire that has left Yavapai County in a state of emergency. The governor peered out a window as smoke billowed and a small aircraft flew below. Ducey, who canceled events in Colorado to stay closer to the fire, traveled to Dewey, where he told officials he was “happy to be here” and came to help. Asked if firefighters have the upper hand, Arizona State Forester Jeff Whitney refused to strike a triumphal tone. Create defensible space, don’t let pine needles accumulate on the roof, and always have a evacuation bag prepared. Reminders not to become complacent are everywhere as Wildfire Awareness Month wraps up and residents remember the Angora Fire, but there’s another important strategy forest managers have up their sleeves, and would like to do more of — using controlled, prescribed fires. It’s well known in the forestry community that fire is an essential part of a healthy forest, but in areas like Truckee where people are increasingly building homes in wildfire-prone areas, those fires aren’t able to burn. 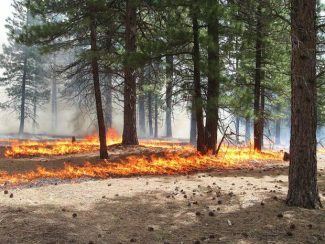 “We should be burning about 12,000 acres a year,” said U.S. Forest Service Truckee Ranger District Fuels Specialist Linda Ferguson. The Rodeo-Chediski fire burned itself into the memories of everyone who lived along the Mogollon Rim, racing through the treetops at 60 mph, burning almost half-a-million acres and destroying 426 structures in the White Mountains. Even 15 years later, the blackened scar of that fire haunts drivers along Arizona 260 and U.S. 60. …So here we are, 15 years later. What have we done? The staffs from the two newspapers that serve the communities along the vast Mogollon Rim — the White Mountain Independent and Payson Roundup — have teamed up to answer that question. ”Catastrophe: A Forest in Flames” will start by detailing the fire that changed the landscape of forest management in Arizona, which debuts today. We’ll discuss how a century of bad decisions left the entire West primed for catastrophe. The largest firefighting airtanker in the world cannot help contain the raging wildfire in Arizona because it hasn’t been certified by the U.S. Forest Service. The Boeing 747-400 Supertanker can carry around 19,200 gallons of water, nearly twice the capacity of the DC-10 aircraft currently fighting the Goodwin fire scorching the Prescott National Forest in central Arizona, about 100 miles north of Phoenix. 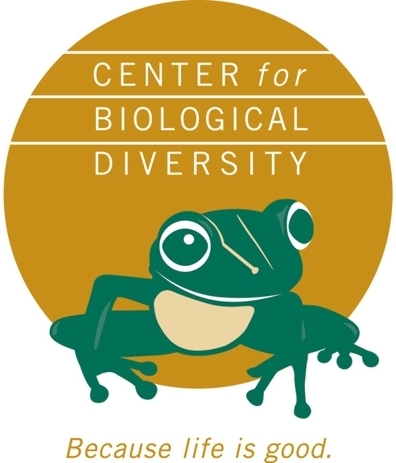 …The U.S. Forest Service did not return multiple requests for comment about the reason for the delay in certification. …The Goodwin fire has consumed nearly 25,000 acres of the national forest and forced thousands to flee since it began Saturday. The Bonita Fire in the western section of the Carson National Forest is substantially over. The wildfire began June 3 because of a lightning strike and was located near Vallecitos and Cañon Plaza in the El Rito Ranger District of the Carson. The fire is 95 percent contained with about 50 forest service personnel still monitoring the site, according to a June 26 update from the Southwest Area Incident Management Team. While forest managers initially considered using the wildfire essentially as a prescribed burn, the primary objective became, and remains, active suppression. Crews are continuing to ensure the perimeter of the fire is secure. HAMILTON, Mont. – Despite the devastation of the Roaring Lion fire near Hamilton last summer the fire’s impact is providing a Missoula professor with important information. Peter Kolb is a PhD forestry specialist with the Montana State University Extension Service. Roaring Lion is a visible example of a wildland urban interface, that zone of transition between unoccupied land and human development. Kolb has been researching the trees on private land that were killed or severely damaged in the fire. Dr. Kolb took NBC Montana to several sites where the fire burned. In the upper reaches of an area where the fire did some of its most severe damage Kolb stood on private land where almost all the trees were gone. It had been a dense forest until the fire of 2016. The professor said heat and high winds killed the trees. He pointed to charred snags where wind had sheared off their tops. Authorities expect to allow more evacuated residents to go home and to reopen a major route through an Arizona community that barely escaped destruction when a massive wildfire swept into town. The fire, which is about 100 miles (160 kilometers) north of Phoenix, triggered evacuations for thousands of residents in a half-dozen communities and came close to consuming the town of Mayer. The incident commander got a big cheer at a community meeting Thursday night when he announced crews had secured lines around about 43 percent of the blaze, which has consumed about 45 square miles (116.55 sq. kilometers) of brush and forest. Danish pension fund PKA and Australian banking group Macquarie joined forces in 2016 to acquire what is believed to be the largest dedicated biomass power plant in the world. The two organisations are 50:50 joint equity partners in the project owner MGT Teeside. The project, Tees Renewable Energy Plant (Tees REP), was developed by UK company MGT Power. 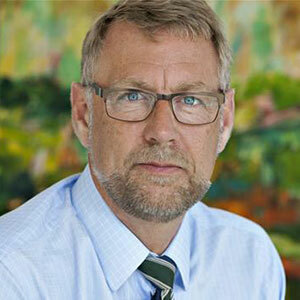 …”The investment in the biomass power plant is in line with PKA’s strategy of making a positive difference for the climate,” says Peter Damgaard Jensen, CEO of PKA when the acquisition was agreed. …The plant will be fuelled by wood pellets and chips from certified sustainable forestry projects in North and South America as well as the Baltic region. It is expected to use more than 2.4 million tonnes of wood pellets and chips a year.